Bath, Inc. has been operating in Northern Colorado (United States) for the past 42 years as a garden center, nursery, landscape and irrigation installation company. For the past eight years, Bath has strongly emphasized and promoted organic practices in all aspects of plant production. 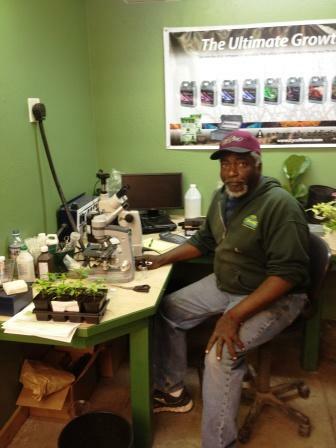 They work to continually educate both staff as well as customers in soil ecology and organic gardening. To this end, they offer organic products and soil amendments and dissuade customers from using toxic petro-chemical distillates such as chemical salt fertilizers, herbicides, pesticides, and fungicides, believing that an individual can positively affect global change, starting in their own yard. When Spencer Bath, the owner, first encountered the idea of biochar in Acres Magazine, it became evident to him that not only would biochar fit perfectly into the organic sustainability movement, but that disseminating the information on biochar would become a mission in itself. 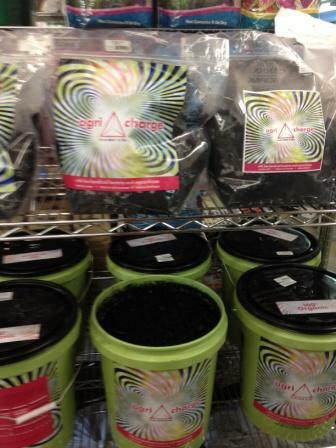 Bath is both producing biochar onsite for sale to customers and conducting research. The Bath research team is led by Spencer Bath and is specifically examining how biochar can benefit the Northern Colorado climate and soil health, regenerative agriculture, the potential for alternative and renewable energy, and soil remediation. For onsite production purposes, Bath uses a slow-burn, top lit updraft (TLUD) kiln equipped with an afterburner flue. In addition to producing their commercial biochar product (Agricharge™) for sale through their store, the team is working on plans for diverting the excess heat in order to reduce dependence on natural gas heat for multiple greenhouse growing operations onsite. They are also designing a mobile TLUD kiln to create biochar from the vast areas of forest devastated by the pine beetle infestation. Fire mitigation of these areas is a preeminent concern for the Forest Service as well as the residents of outlying mountain areas. To promote biochar to the community, Bath is disseminating information via social networks, small organic farms, farmer’s markets, and municipal climate programs. They have seen a positive and surprisingly rapid response from customers and community partners alike and find that people are excited to experiment with biochar and continue educating themselves. As the company increases production, they are working to adhere to the micro batch process, since they have found that the wood oils retained in the biochar serve a host of benefits to microbiological activity beyond the crystalline structure of the biochar itself. To better back the claims that are made about biochar and to ensure that their product is of good quality, the team has some laboratory equipment onsite including trinocular dissection microscopes, a centrifuge, and a color spectrometer. They are also utilizing outside testing facilities such as the Soil Food Web lab of Dr. Elaine Ingham. Bath inoculates their biochar with a blend of bacteria and mycorrhizae, including isolated bacterial stains, worm castings, humic acid, kelp, and molasses. This blending takes the guesswork out of the equation for their customers—since the product is ready to be put into the soil immediately, gardeners do not need to worry about making sure the biochar is aged or weathered appropriately. In addition to offering biochar for garden use, Bath is using biochar for landscape and turf installation, and developing protocols for applications throughout the region to reduce conventional fertilizer inputs and water consumption, a critical aspect of conservation on the Colorado Front Range. Bath has several other areas of biochar research. They are working to understand how biochar functions in typical over-the-counter peat- and perlite-based growing media to expand the knowledge, product line, and customer uses for biochar. Based on tests, they believe biochar is an ideal replacement for perlite, which tends to harbor anaerobic bacteria in growing media. Hydroponic growing is another area of interest for their biochar research, whether adding pulverized biochar to the reservoir or utilizing biochar as a hydroponic substrate. Bath is also researching the functions and benefits of biochar in a compost tea environment, whether added to the compost used to make the tea or pulverized in the tea itself, and believes that the many uses for biochar have only begun to be realized. For more information, please see http://www.bathgardencenter.com. The product for sale; courtesy of Bath. Testing the biochar; courtesy of Bath.